Yea for Friday!!! 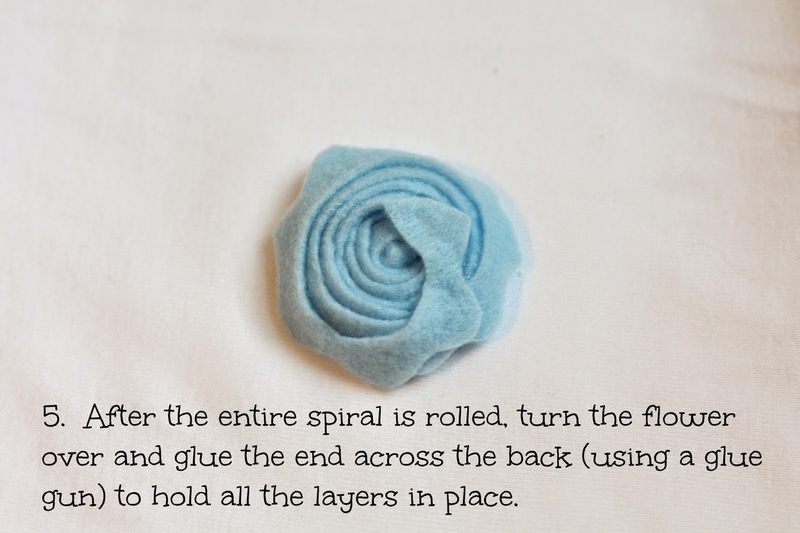 Next week I am going to share a little Easter wreath project I have been working on, but part of the project included some felt and fabric flowers. 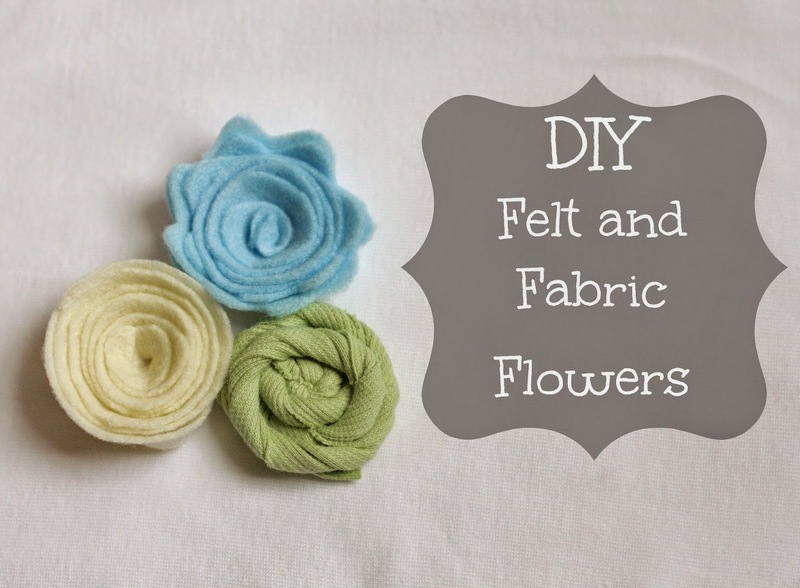 I have seen these flowers all over at craft and fabric stores, but I have a hard time buying something that I know I can make, so I gathered my supplies and got to work. It was actually so simple and I loved how all of my flowers turned out! 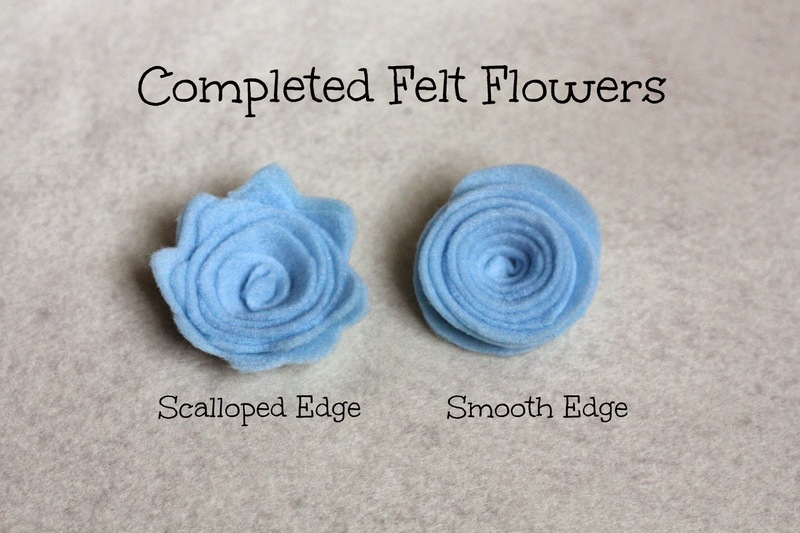 The first flowers I made were using felt and I made two different styles. 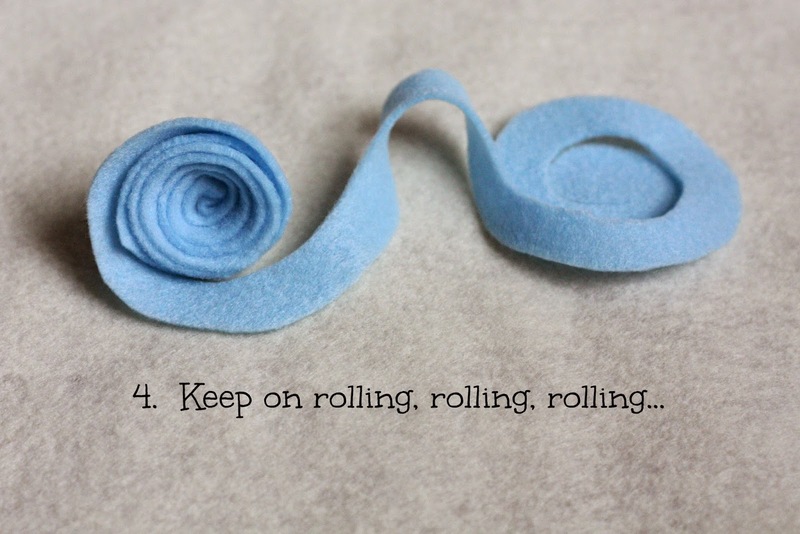 They are made very similarly and for both I started with a small sheet of felt. They sell these at most craft/fabric stores, usually a few sheets for a $1, and they already come cut small enough to work with. 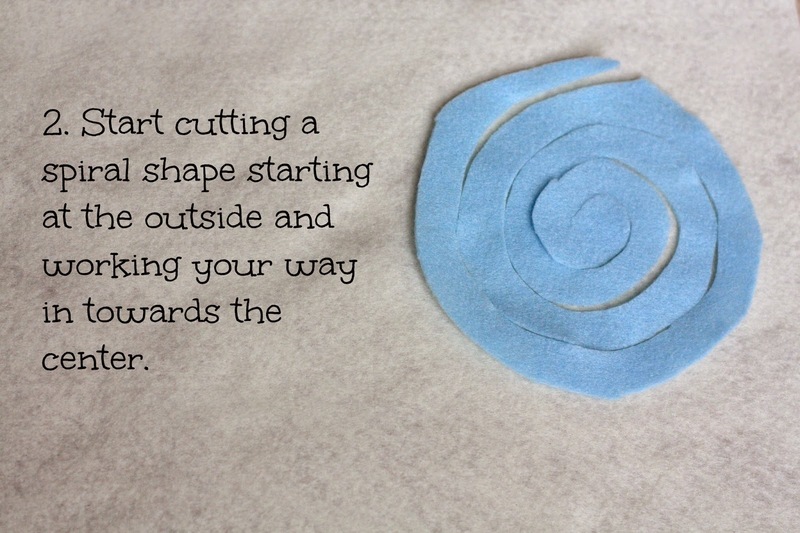 First I found something round and small to use as a guide to cut a circle. I used my magnetic pin holder, but you could us a CD, a large cup, small bowl, etc. 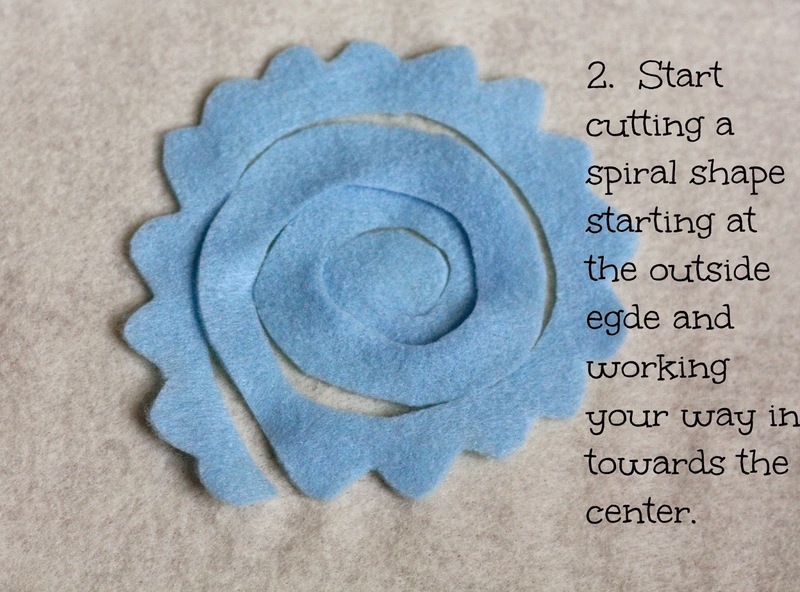 I was able to get 4 circles cut from one sheet of the felt, giving me 4 flowers. 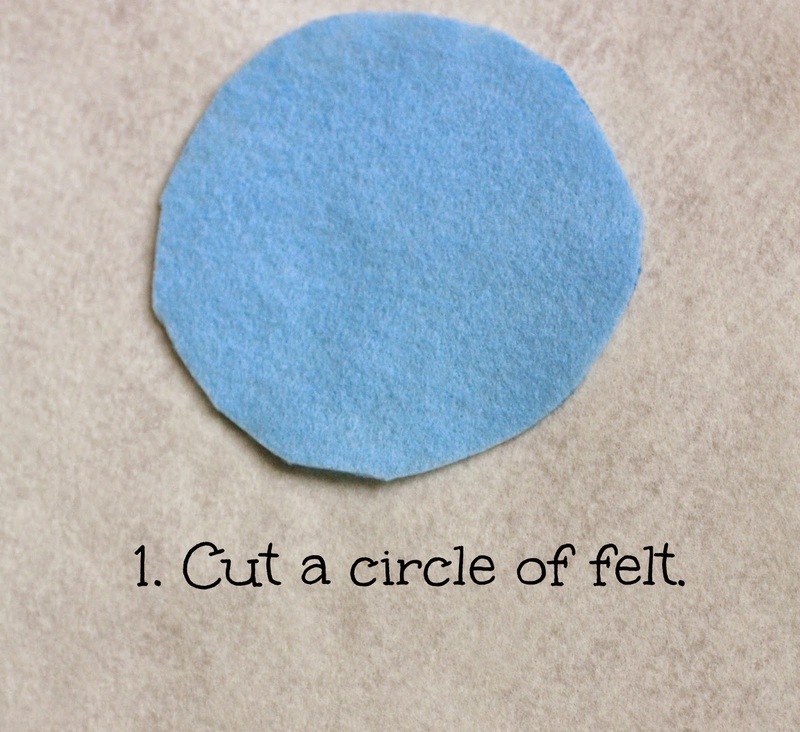 You can see my circle is not perfect, and that is OK! I promise you won't even be able to tell once the flower is done, so don't stress about the perfect circle. 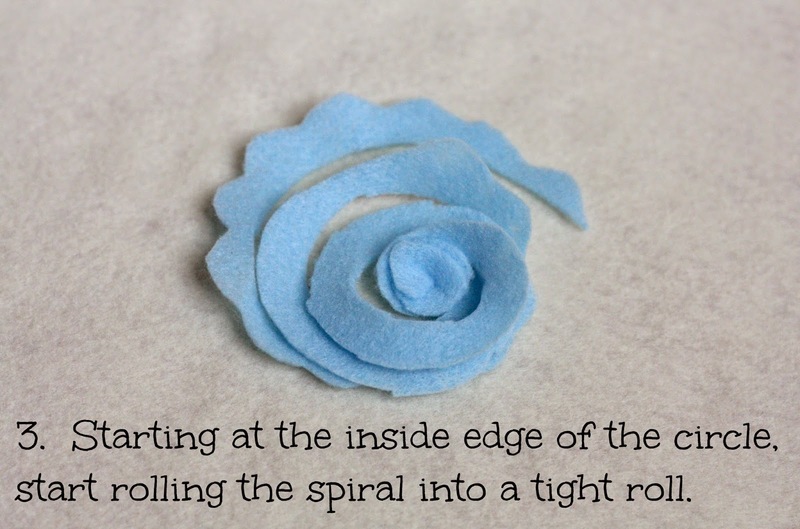 To make the scalloped edge felt flower you will follow the same steps as above, only you will scallop the edges of your circle before you begin and you will start rolling the spiral from the CENTER instead of the outside for these types of flowers. 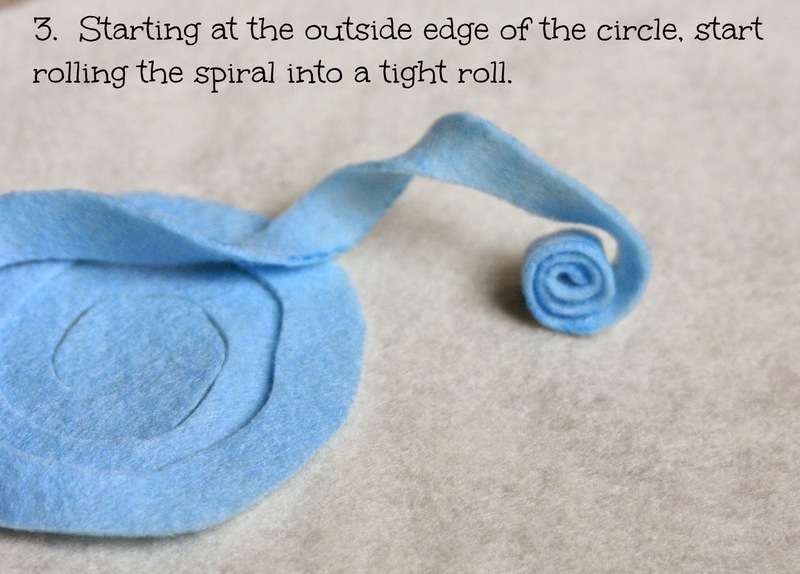 Then you just glue the end of the spiral to the back a, voila, you are done! 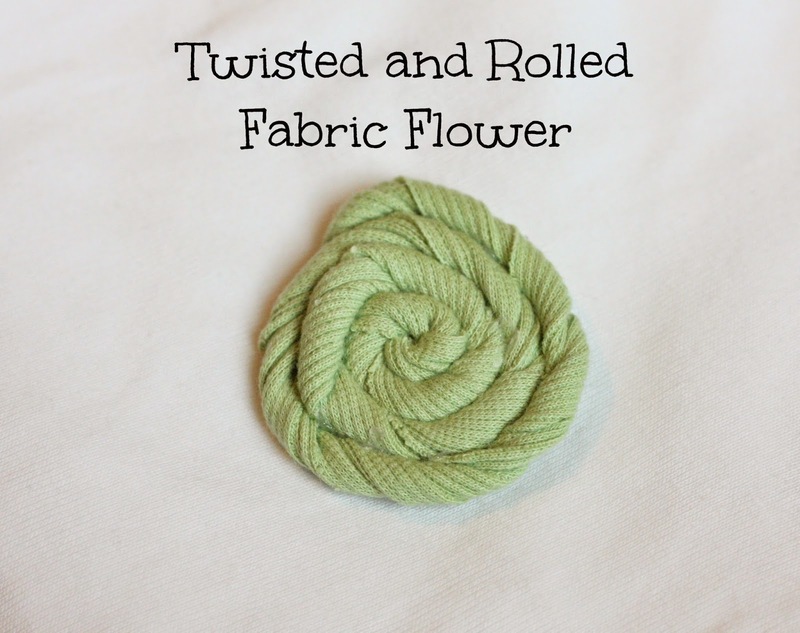 Next up is the twisted and rolled fabric flower. And that is it for the flower making! 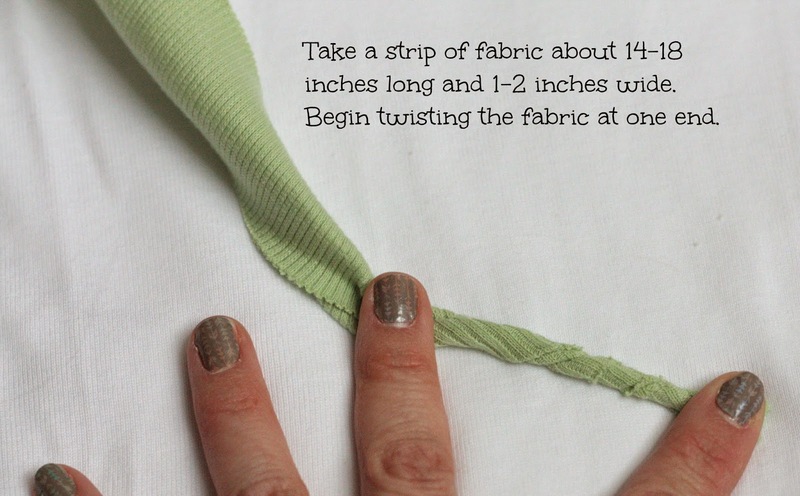 It is so simple and if you have all of your supplies, you could definitely knock this out in no time flat. As I was making them I starting thinking of all different ways I could use them. 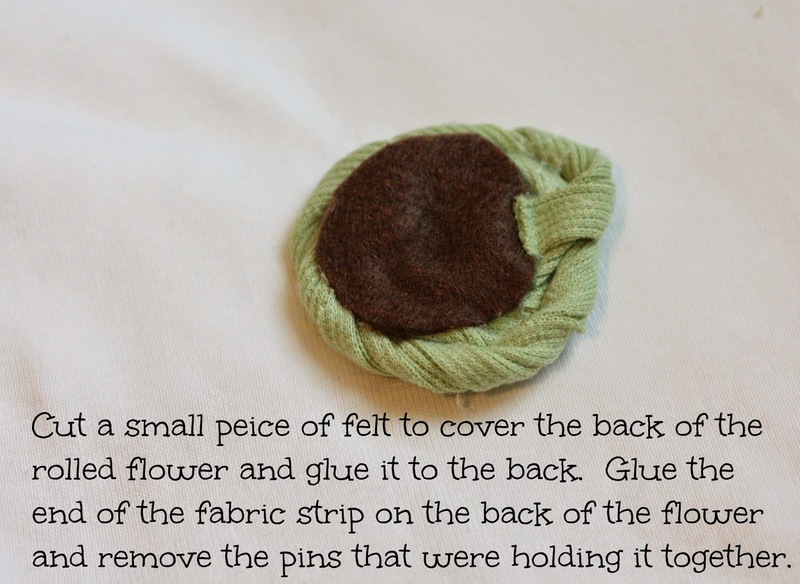 Aside from the wreath I made, I think you could use these to make hair clips or headbands, to decorate and embellish a gift, to clip onto a tote bag or purse, or sew onto a pillow. The possibilities are endless! I hope someone tries to make these flowers and if you do, leave a comment and let me know how you plan to use them. 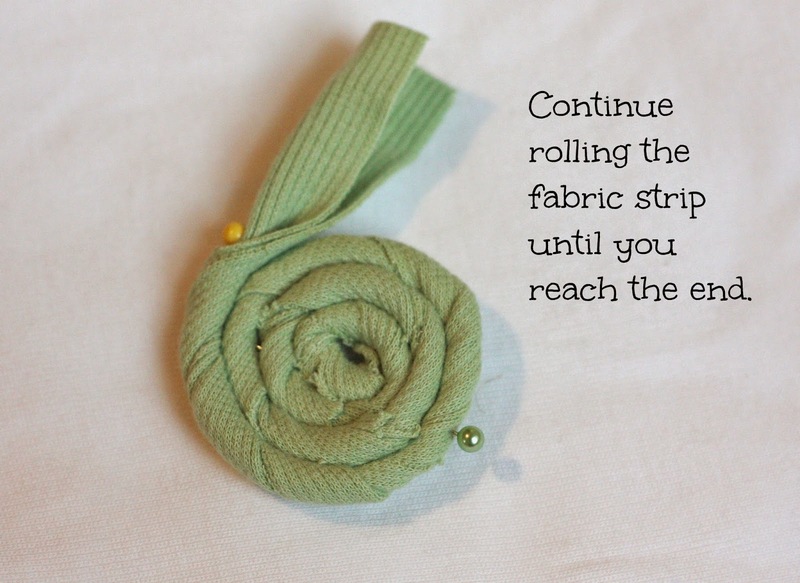 I learned how to make these a few years ago, so cute and so easy! 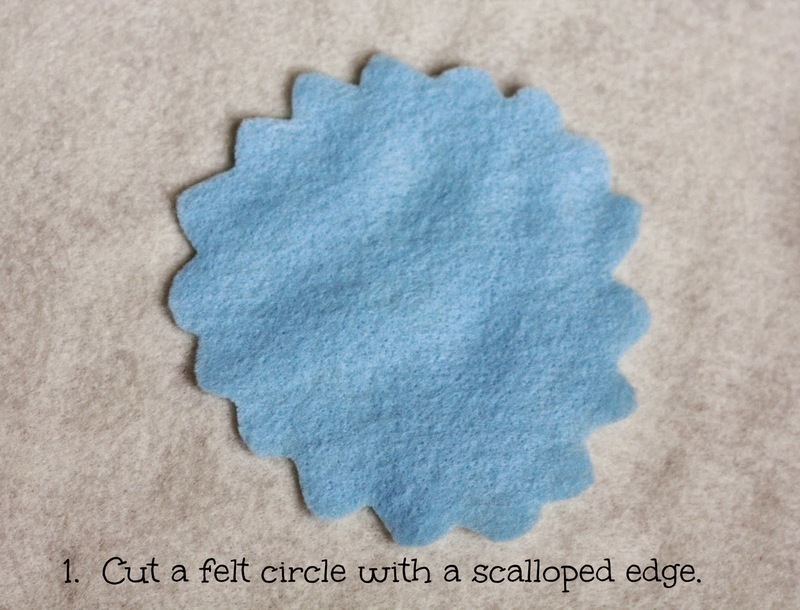 But I hadn't seen the scalloped edge ones before! I can't wait to try those! Hi I found you through MBC The flowers are so cute, they would be perfect for atop a knit hat! The tutorial makes this look so easy. 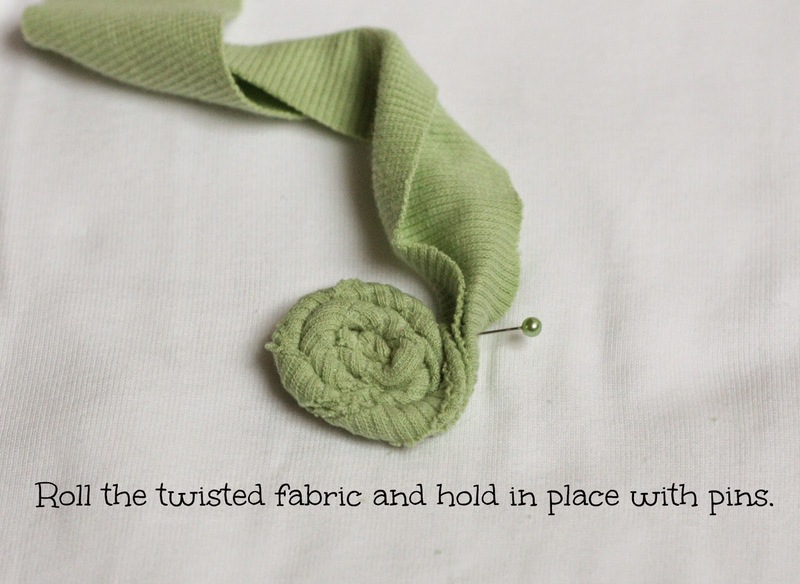 Such a simple and pretty accessory. Monica from Mommy University.